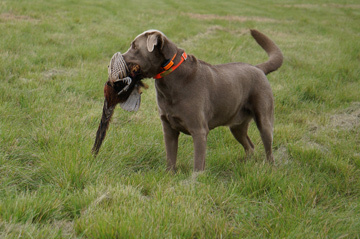 Becker is here to tell you there aren’t just black, yellow and red labs that like to hunt. 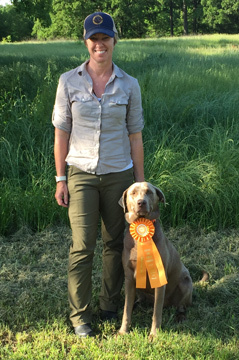 A Silver Lab, Becker is almost 4 years old and a bonafide hunter. 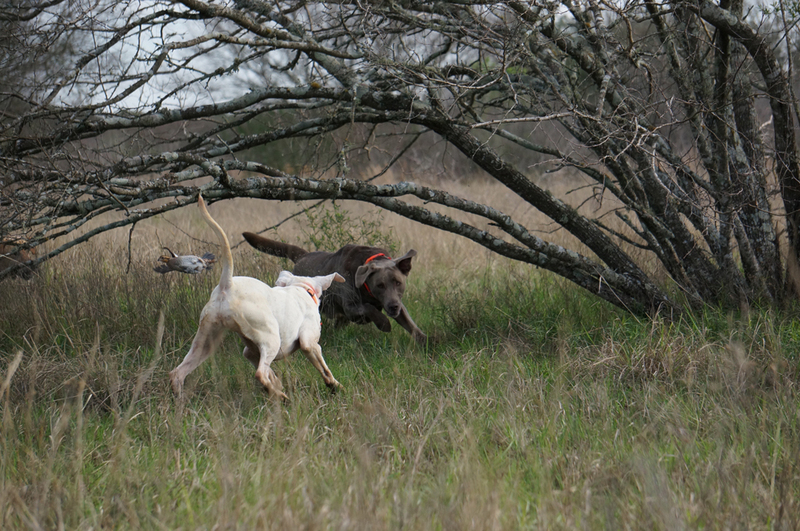 Some dogs love hunt tests, some love hunting, and some love both. Becker loves hunting. Period. While he does have a Junior Hunter title under his belt, he simply loves to hunt and work. 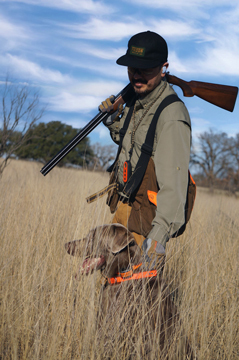 Meg and Frank Hinkle hunt with the good boy throughout the Texas Hill Country and really enjoy Upland shoots with Becker by their side. 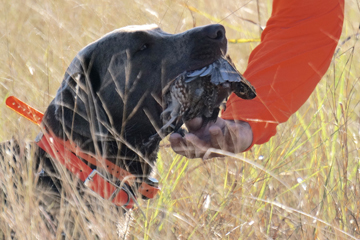 If you see a well-trained, ambitious Silver Lab out in the field next time you’re hunting in Texas, it could quite possibly be big Becker. Cheers to Becker!